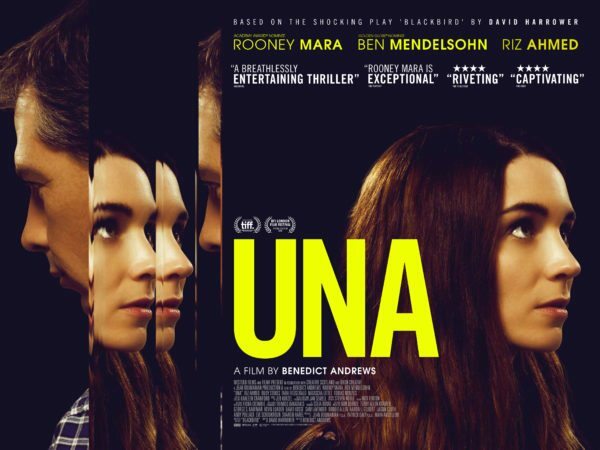 We oversaw the U.S. theatrical PR release campaign for Una, a screen adaption of David Harrower’s celebrated play Blackbird starring Rooney Mara, Ben Mendelsohn and Riz Ahmed. Una follows a young woman’s journey to reclaim her past. Fifteen years earlier, Una (Rooney Mara) ran away with an older man, Ray (Ben Mendelsohn), a crime for which he was arrested and imprisoned. When she comes across a photo of him in a trade magazine, Una tracks him down and turns up at his workplace. Her abrupt arrival threatens to destroy Ray’s new life and derail her stability. Unspoken secrets and buried memories surface as Una and Ray sift through the wreckage of their past. We oversaw the national release campaign and local campaigns for NYC and LA, and handled local publicity for Phoenix, Austin and Chicago. We handled the social media and grassroots marketing campaign, securing brand partnerships and marketing support from special interest groups, charities and organizations, universities, and key influencers.